ANN ARBOR, MICH. – A2 Hosting, a provider of multiple high-performance hosting solutions, today announced a major update for its Managed WordPress accounts. This offering provides users with an environment to create a high performing, optimized and secure WordPress site out of the box, plus all the features you expect from WordPress. Some of the update’s top new features include AI learning technology making it possible to bring WordPress instances, plugins, and themes up to speed more effectively and efficiently than ever. Pingback attack protection, meanwhile, provides a layer of extra security for users. Other features include additional restoration points during updates, better WooCommerce integration, and an improved user interface. Each Managed WordPress account features the Plesk control panel providing an intuitive manner for users to access their files, databases, email and more. Each Managed WordPress site also comes hosted on A2 Hosting’s exclusive Turbo Servers (20X faster page loads than competing WordPress hosting solutions). All these features add up to a hosting solution aimed at taking pressure off of users. 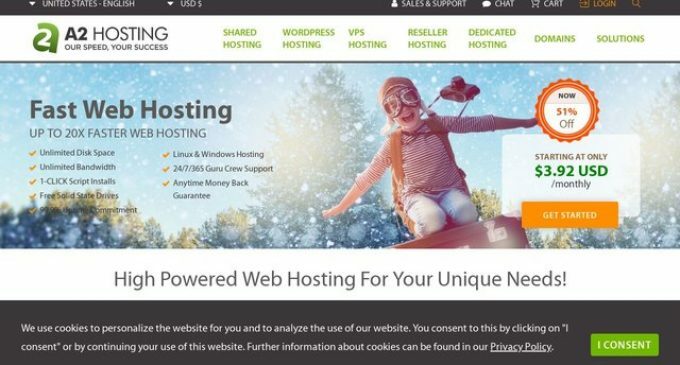 As with other A2 Hosting offerings, Managed WordPress accounts are supported by their signature 24/7/365 support from the A2 Hosting Guru Crew staff and come backed by their 99.9% Uptime Commitment for ultimate reliability. WordPress started in 2003 with a single bit of code to enhance the typography of everyday writing and with fewer users than you can count on your fingers and toes. Since then it has grown to be the largest self-hosted blogging tool in the world, used on millions of sites and seen by tens of millions of people every day. WordPress started as just a blogging system, but has evolved to be used as a full content management system and so much more through the use of thousands of plugins, widgets and themes. WordPress is limited only by your imagination.